Thawte SSL Web Server Certificates with EV enable the most visible security indicator: the green address bar in high-security browsers, assuring users that your site is secure and your identity has been authenticated to the industry's highest standard. When customers see the green address bar and the Thawte Trusted Site Seal, they gain the confidence to complete their transaction. SSL Web Server Certificates with EV include Extended Validation, the Thawte Trusted Site Seal, free reissues, and a 30-day money back guarantee. Thawte SSL123 Web Server Certificates have the fastest issuance time to quickly enable encrypted connections to your web server. This domain-only validation SSL Certificate provides up to 256-bit encryption for intranets, mail servers, and other web-based applications that are not at risk for phishing or fraud. SSL123 Web Server Certificates include domain authentication, the Thawte Trusted Site Seal, free reissues, and a 30-day money back guarantee. Thawte SSL Web Server Certificates secure confidential information exchanged online and confirm your site's identity to employees, business partners, and other users. When users click the Thawte Trusted Site Seal or view certificate details, your organization name appears and shows that Thawte, a trusted certificate authority, has verified the site's identity. SSL Web Server Certificates include full organization authentication, the Thawte Trusted Site Seal, free reissues, and a 30-day money back guarantee. Thawte SGC SuperCerts help keep online transactions secure by enabling every web site visitor to experience the strongest SSL encryption available to them. Most SSL certificates are capable of strong encryption (128-bit or higher), however, certain older browsers and operating systems cannot step-up to 128-bit encryption unless an SSL certificate with SGC technology is used. 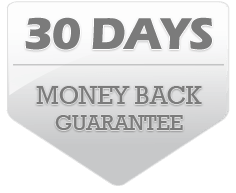 SGC SuperCerts include SGC, full organization authentication, the Thawte Trusted Site Seal, free reissues, and a 30-day money back guarantee. Thawte SSL Web Server Wildcard SSL Certificates secure multiple subdomains with a single SSL Certificate, reducing management time and cost. Using the wildcard notation (an asterisk and period before your domain name) allows you to extend security to different subdomains based on your top-level domain name. Wildcard SSL Certificates include full organization validation, the Thawte Trusted Site Seal, free reissues and a 30-day money back guarantee.